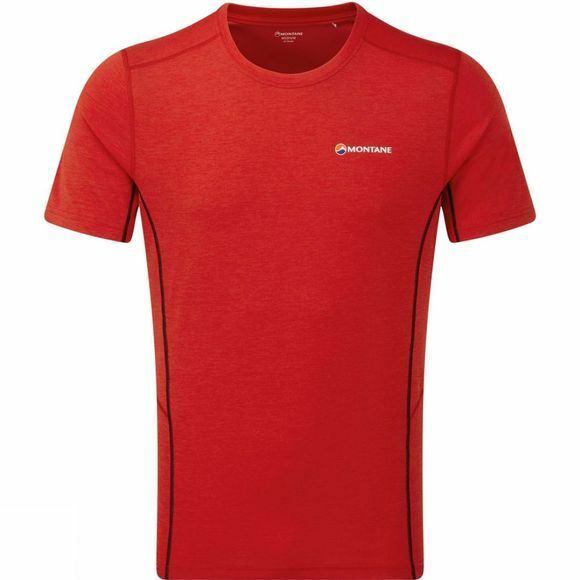 The Mens Dart T-Shirt from Montane, is a classic all-season, all-mountain tech t-shirt. 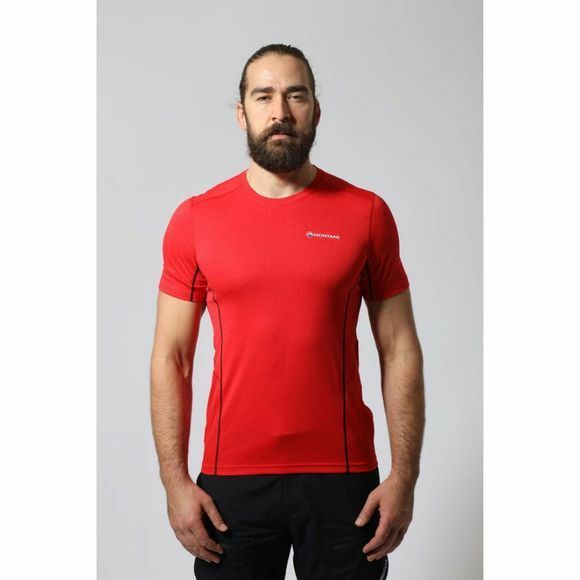 The Apex D-Fuse fabric has a dual layer construction, with an exceptionally soft and wicking pique knit next to the skin and a smooth, marl effect face. With an added Polygiene odour resistant finish, the Dart series offers a balance of warmth and breathability.